Hinode Taiko | Get ready for New Traditions! Get ready for New Traditions! 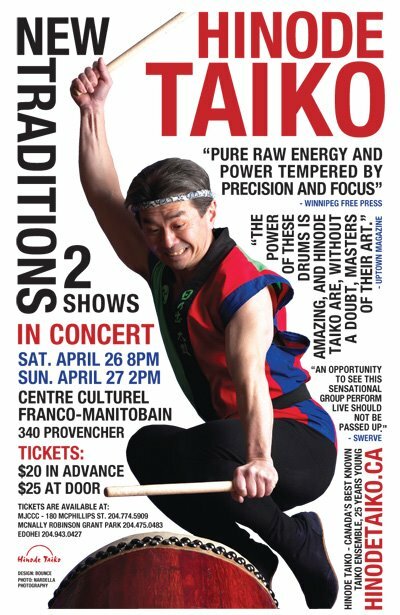 HT will be performing in concert at the Centre culturel franco-manitobain (340 Provencher) on Saturday, April 26 at 8pm, and again on Sunday, April 27 at 2 pm! McNally Robinson Grant Park, and the Manitoba Japanese Cultural Centre. Limited seating! Get your tickets today! !